At Point McKay Dental we understand that a dental emergency can be a frightening time. We care about our patients and want to make sure that we are available to help you, your family, and your friends with a dental emergency should one arise unexpectedly. Please contact us at (403) 283-7829 if you are experiencing a dental emergency. 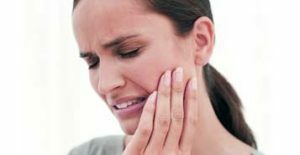 At Point McKay Dental, we consider any situation in which you are experiencing pain or discomfort as a dental emergency. 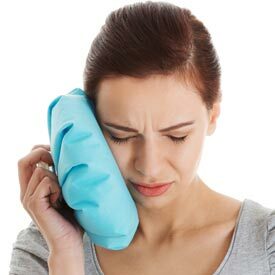 Since a dental emergency can be a frightening experience, if you are experiencing pain from a sudden or lingering toothache, have a fractured or knocked-out tooth, or have been involved in an accident that involves your teeth and/or jaw should be treated by a dentist immediately. Point McKay Dental reserves time in our daily, specifically for dental emergencies and will accommodate both existing and new patients who are unable to see their regular dentist in a timely manner. We will offer our assistance over the phone to advise you on how to remain as comfortable as possible until you are able to be seen at our NW Calgary Dental Office. Preventing a dental emergency the best way to avoid dental emergencies from occurring and is best achieved by booking an appointment with Dr. Paul Hul on a regular basis for a comprehensive dental exam. Your dental exam includes checking for signs of weakened teeth, loosened or aging restorations and early the signs of infection that may indicate the presence of infection and the possibility of periodontal disease. We know that a dental emergency requires immediate attention and NW Calgary Emergency Dentistry is one of the many dental health services that we offer at Point McKay Dental. Call us at (403) 283-7829 to book your Emergency Dentistry Appointment with us today!